Mark Clemmit, known to many as Clem, is renowned for his relaxed ‘access all areas’ style as the features reporter on BBC One′s Football Focus. He is also part of the BBC’s studio presentation team on the country’s most watched results programme Final Score and a reporter for Match of the Day Live. Mark is also one of the longest established voices on BBC Radio 5 Live and has hosted the station’s flagship 5 Live Sport programme and their coverage of The Great North Run. Mark has also reported for The One Show. Away from sport, Mark presented a peak-time consumer series for BBC One, How Safe is Your House. The series saw him confront dodgy builders and tackle a number of rogue tradesmen. Mark has previously written a weekly column for The Times and was a member of the original presentation team on BT Sport. Clem has facilitated a diverse range of activities for the FA covering everything from disability issues to the launch of the new England kit (with David Beckham) and numerous commercial events (alongside Sven Goran Erikson, Fabio Capello, Roy Hodgson and Sam Allardyce). He is also a regular host for both the Professional Footballers Association and the League Managers Association. ​Other clients include Capital One, Carlsberg, Coca Cola (with Wayne Rooney), E.On, Marie Curie Cancer Care, n power, Pepsi, Reebok (with Thierry Henry), Rolls Royce and Tesco (with Frank Lampard). 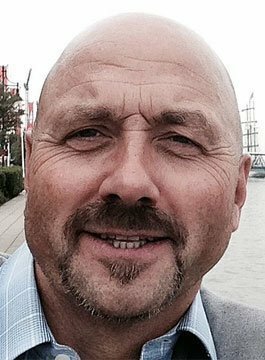 Mark Clemmit is an immensely popular live event, conference and awards presenter, he has worked extensively for English football’s main organisations, sponsors and beyond.